We, like many other Nintendo fans out there, were under the pretense that HAL Laboratory - the company responsible for our lovable pink hero Kirby and the Super Smash Bros. series - was named after the computer from 2001: A Space Odyssey, HAL 9000. Nintendo president Satoru Iwata even stated that the name was "very cool" during his his keynote speech at the 2005 Game Developers Conference. However, Iwata had been keeping the real reason behind the name a secret, until revealing it during a recent Iwata Asks discussion about Zombi U. During the interview, Yves Guillemot of Ubisoft explained the meaning behind Ubisoft was derived from the word 'Ubiquity' meaning 'exists everywhere'. Ooooh, seriously? Haha, that's so random. That's actually a lot more clever. That's one of the neatest pieces of game trivia I've ever heard. I think I guessed this, but in my mind I was thinking that it really stood forsomething, and that idea was stupid. That is brilliant. What a clever idea. LOL, nice work HAL. Great reason to name a company. He's cleaned up nicely since his HAL days. It's interesting because Arthur C. Clarke was often accused of naming HAL 9000 using this one letter shift in order to suggest that IBM is a villain, but he always denied it. It was embarrassing to him (and Kubrick) because IBM had actually helped them during the making of 2001. So, this seems to show that not only was HAL not named after HAL 9000, but it DID use the technique Arthur C. Clark was accused of... 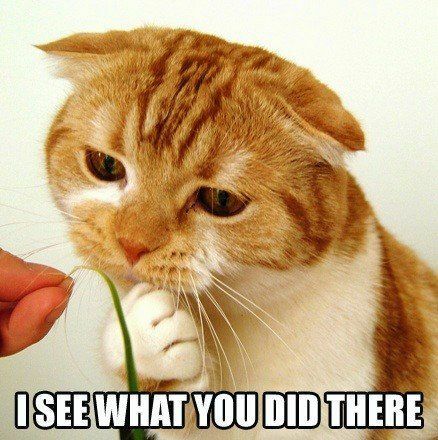 I wonder if they did it BECAUSE of those accusations though. So maybe HAL IS indirectly named after HAL 9000 after all. Or not. 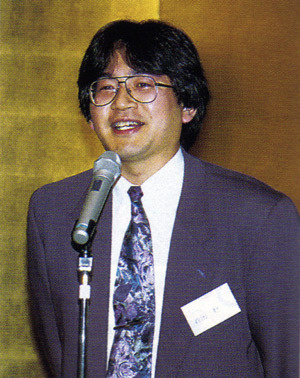 The best part about this article is the photo of a young Satoru Iwata before he could boss around a teenage Masahiro Sakurai. Wow, thats actually really clever, certainly not what I was expecting. More so if @aaronsullivan is right about it being based off a piece of trivia. I just watched 2001 yesterday! And yeah, I always sort of assumed it was either named after HAL 9000 or it was some boring acronym like "Hamsters And Lungfish", but being one step ahead of IBM is way more interesting. That was very clever. I never knew! Very clever!! One of the best gaming trivia I've heard in a long time. Cool, I guess a company named GZK is in the works now. Not really, HAL was a substitute for IBM. Arthur C. Clarke was, according to speculation, warning people about the danger of giving computers too much power. 2001 is such a weird movie. I've got the novel by Arthur C Clarke but never induldged. I think he just means that as a clever response, not so much the literal reason, although it would be interesting if that was legitimately the real reason. It's NOT the same reason HAL 9000 is so named. That's a myth — look it up — and it was possibly well known when HAL chose it's name. Not sure on that last part, though. Maybe they were like, "Hey, he didn't do it for that reason, but we can!" I guess we are Dave in that HAL won't let us play the Mother Games. @bezerker99 Definitely read the book. I did before watching the movie for essentially the first time (way too long ago for the actual first), and it helped make sense of the movie. Actually, I was aggravated with the movie in parts, because it didn't really convey what was happening. Like pretty much the whole end of the movie. As far as the trivia, that is really neat! So that's where the names Ubisoft and HAL came from! Cool information! So HAL felt they where in competition with IBM! Crazy! @Tsuchiya Really? Where did you hear about it? Not to be "that guy" but isn't this widely known as a pun since the late 1960s when 2001: A Space Oddyssey was released? Whether or not it's true that Arthur C. Clarke intentionally named HAL so closely to IBM as a criticism I didn't think this was such a "bombshell" of a reveal for Iwata to suggest this as it's always been widely and popularly discussed with any reference to HAL (the computer) for THE PAST 40 YEARS. I find it even more surprising that the article suggests it is a surprise given that it acknowledges that the common theory was that HAL Labs was named after the HAL 9000 computer from the movie in the first place (which it clearly was, even with the IBM pun and all). Cool. Always nice to learn background info for a great studio like Hal Labs.